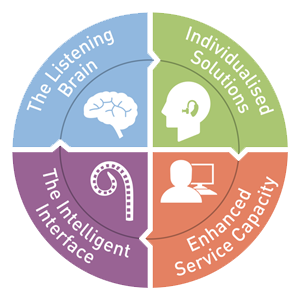 The HEARing CRC conducts world leading research across four distinct areas (programs). Click on the images below to find out more about our research programs. Our innovative, multidisciplinary research and development activities address all aspects of hearing healthcare and benefits from the capabilities and infrastructure provided by HEARing CRC Member Organisations. The research conducted by the HEARing CRC has been made possible by the Cooperative Research Centres Program. Through the HEARnet Online®, HEARnet Learning® and HEARsmart websites, the HEARing CRC has established public information and professional learning platforms to create a greater awareness of hearing loss and hearing loss prevention. These sites, in association with HEARworks®, translate and commercialise our research outcomes into clinical application. Click on the logos below to go to our other websites.